The Bears Pit: v1.13 Idea Incubation Lab » Looking for 2d animations? Home » MODDING HQ 1.13 » v1.13 Idea Incubation Lab » Looking for 2d animations? Open Wizardry8InstallFolder\data\data.slf and extract subfolder [spells] to storage device. literally the frames which have to be converted to sti, e.g. irfan view allows to batch process files. last link "enhanced sti editor" at the bottom of the page. appropriate candidates appear to be e.g. 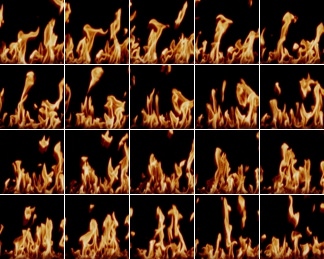 files with "fire" in name. And how exactly would the 3D Wizardry 8 art style fit JA2? I have some serious reservations looking at the screenshots tbh. Anyway, there's already been major progress into getting new animations for JA2 thanks to Taro and Flugente and the Russian mod community. Basically now we have a complete workflow of generating 3D animations, assembling them into working STI animations and adding them to the game code. Check Flugente's subforum for details. but i was refering to spell effects, i.e. sequences of low res pics for animated textures. in this case, as in most other spells/particles/etc, extremely stretched. most others are better to view by scrolling through .tga files with picture viewer. Can you post some of those pics via imgur (or similar) links? since these texture pics use the 4th layer, you have to imagine black as transparent here.